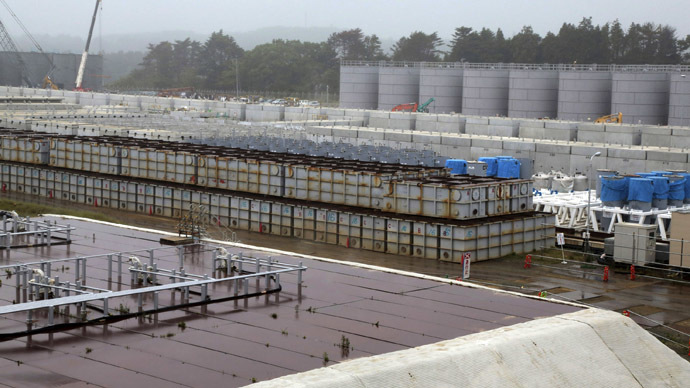 Japan’s nuclear regulator has concluded that the Fukushima nuclear plant’s operator was inadequate in its inspection of radioactive water tanks after news of yet another leak. 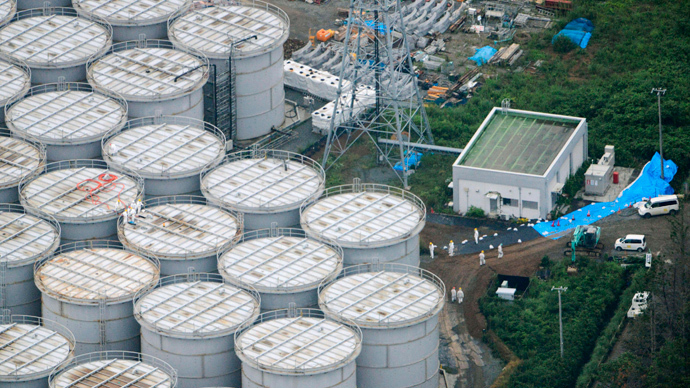 TEPCO earlier admitted it will now require international help. On Friday, the Nuclear Regulation Authority (NRA) Commissioner Toyoshi Fuketa visited the destroyed Fukushima Daiichi nuclear power plant to inspect the ongoing radioactive cleanup efforts. Fuketa’s comments follow those of the NRA chairman Shunichi Tanaka, who earlier this week worried that the makeshift giant radioactive containers were prone to failure. "Fundamentally, for a facility holding that kind of radioactive water, they did not take action that foresaw the risks of possible leaks," Fuketa said at a press briefing in Hirono. "On top of that – and this is an impression I had before my visit – I can't help but say that the inspections were careless." The plant operator said on Thursday that a new radiation spill has been detected near the storage tanks, which sparked fears of newer leaks before the old ones had been dealt with. Furthermore, the company has been accused of failing to properly document inspections, leading to misspent resources and problems cropping up that should have been noticed before, according to Fuketa. Japan has decided to raise the gravity of the latest Fukushima leak to Level Three, which is considered a “serious radiation incident” on the International Nuclear Event Scale (INES) for radiological releases. The most dangerous, Level Seven, has only been applied twice – for the Chernobyl catastrophe in 1986 and for the meltdown of three reactors at the Fukushima plant. TEPCO has also now admitted it will be seeking international expertise to help out with the leaks. "Many other countries outside of Japan have experienced decommissioning reactors, so we hope we can consult them more and utilize their experience,” TEPCO’s vice-president, Zengo Aizawa, said at a news conference on Wednesday night. "In that sense we need support - not only from the Japanese government, but from the international community - to do this job." Almost two-and-a-half years since a lethal combination of a tsunami and an earthquake crippled the power plant and caused a multitude of subsequent problems, TEPCO is faced with its most serious problem yet. 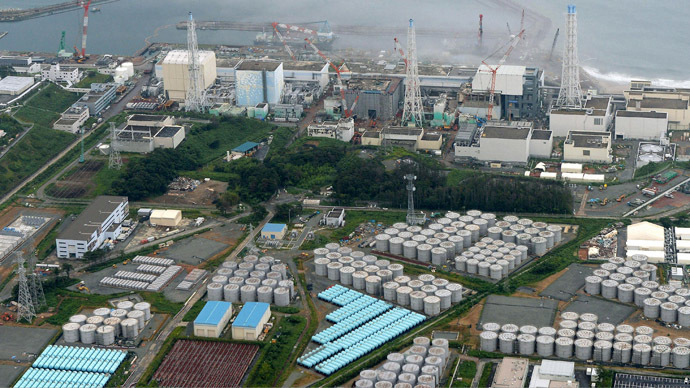 This is after the recent discovery that radioactive water has been leaking from the plant’s storage tanks into the Pacific at an alarming rate of 300 tons a day. Numerous contingency measures have been thought of for the problems that keep cropping up continuously in different parts of Fukushima – including leaking radioactive water, as well as a danger that Reactor 4 would collapse on itself. The structure holds upwards of 1,300 nuclear fuel rods containing 14,000 times the amount of radiation that the Hiroshima bomb released. A never-before-attempted operation is in the works. It will involve the manual removal of nuclear fuel rods from Reactor 4 by way of a manually-operated crane – not by computer. Any mistakes could lead to contamination on an unprecedented scale. All this is happening at a time when the soil beneath Reactor 4 is slowly sinking. The tanks, which are used to keep the coolant that prevents the damaged reactors from overheating dangerously, are considered to be unsuitable because they were made for other industrial purposes. They were adapted following the emergency, but they are nearly full. 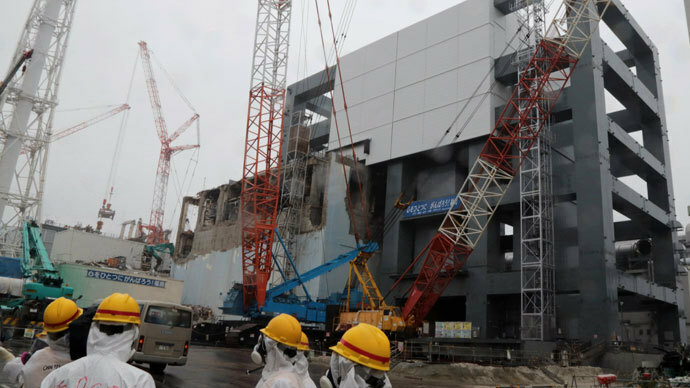 TEPCO estimates that it has already reached 85 percent capacity, although plans to create a more permanent facility have so far not materialized. The latest leak was the fifth time that toxic water escaped from a basin. The operator has been slow in measuring the levels of radioactive elements that have flowed out of the station, as well as publishing its data. TEPCO finally revealed this month that highly unsafe tritium and cesium levels had been detected in the seawater near the plant. A concentration of these elements could damage the marine environment and build up in marine life, possibly endangering humans further up the food chain. The catastrophe of March 11, 2011, caused the meltdown of nuclear fuel rods at three of the plant’s reactors, leading to a contamination of air and sea, as well as crippling the region’s agriculture and fishing activities, gravely damaging the economy for years to come. 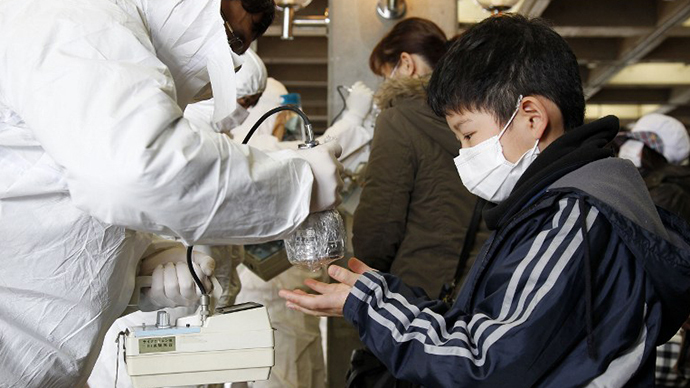 On top of this, costs required for the cleanup, as well as to sustain the nation’s needs and compensation payouts, are projected to be in the billions – a fact that has recently caused the Japanese government to step in and start contributing money to TEPCO’s efforts. 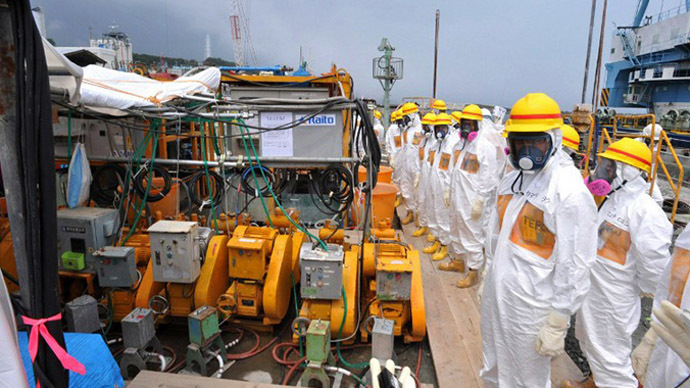 The Fukushima nuclear meltdown has been called the worst radioactive event since the Chernobyl nuclear disaster of 1986. And with protracted cleanup efforts expected to last decades, by multiple estimates, any misstep could lead to a cascading chain of dangerous radioactive events, fallout researcher Christina Consolo told RT. She made special reference to the upcoming operation for the manual removal of fuel rods from Reactor 4.